Joe and I are having fun with our Tower Garden. My problem is I’m addicted to going out and checking on the progress! So much joy and fascination! - I think every school should have a Tower Garden. Here’s the main questions folks are asking us. I highly recommend you consider getting one. It’s a perfect time/season to start your garden. Let us know how we may help more. We bought seedlings from http://www.livingtowerseedlings.com/ you can grow from seed, buy from a local store. To optimize our first attempt, for speed, ease, reliability and fun we ordered on line. It was an awesome experience, super quick, easy and pleasurable. 3. What kind of maintenance? The Towers’needs are few and simple: Needs to be plugged in, then check PH, add water and nutrients once a week. 4. When will veggies be ready? 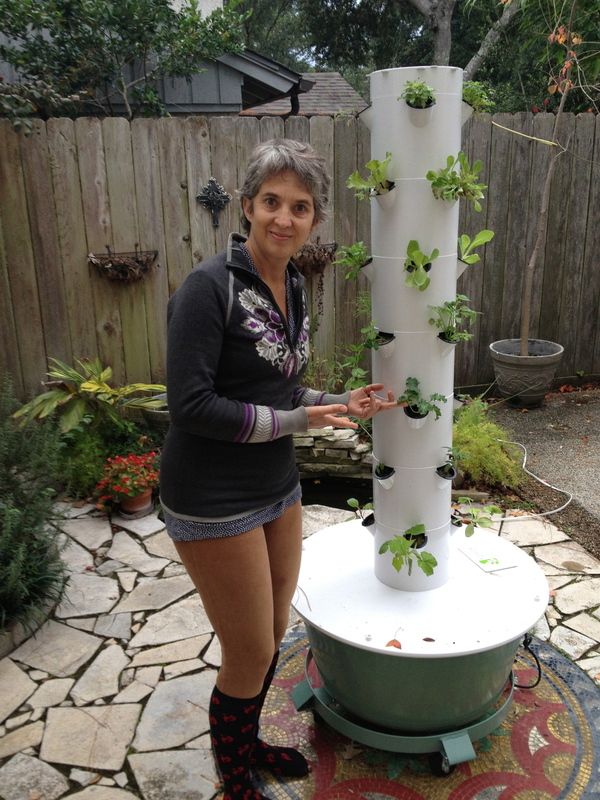 Some friends thought the Tower Garden was simply growing seedlings ready to plant. NO! the https://ht64608.towergarden.com provides excellent water, nutrients and structure for Veggies to be fully grown in 5 - 8 weeks! 5. How much does it yield? The plants keep growing/producing for MONTHS. For example with the lettuce we take the outer leaves off (rather than pulling the whole plant)and the plant keeps growing more leaves. 6. What can you grow? Almost all vegetables (unless they grow underground like potatoes), herbs, most fruit (except those who grow on trees!) and even Flowers! 7. How much did it cost? The regular tower costs $500, we also bought wheels and an extension tower. 8. Can I grow in doors? Yes! we have friends in Colorado who have already brought their tower indoors for the winter. We cover ours over night if we hear it’s going to be cold and wheel it inside the garage if there’s an overnight freeze warning. 9. How can I buy one? Super simple, takes less than 5 minutes! Click HERE. Call or email us if you’d like us to help you process your order. Common statement: wow! that’s expensive isn’t it? My response: no! it’s an investment! When our veggies are grown we plan to eat 100% off the tower daily. Spend $50 a week on organic veggies the table is paid for in 11 weeks. Continue to enjoy fresh, convenient, yummy veggies, for years!